Seventh Grave and No Body is book seven in the Charley Davidson series. In case you don't remember or aren't familiar with the series, Charley Davidson is a PI that is also a grim reaper. She helps the departed cross over while also helping the local police department solve cases. Mix in that she's engaged to the hunky son of Satan and you have a must read on your hands. We stay pretty busy with Seventh Grave and No Body, so I'll just dive right in. Charley is helping the police on a case where multiple people are turning up missing and suicide notes that are eerily similar are showing up in their place. The police suspect foul play, but with one after another going missing they turn to Charley to help solve the case. On the paranormal aspect, we have some nasty creatures dubbed "the twelve" that Satan or someone in his stead has sent after Charley and her friends. They're trying to figure out who was behind summoning the twelve and how to best them without someone dying. They're big, bad and want nothing more than to kill Charley. That's not all though, Charley's Dad is missing and it looks like he was running an investigation on something relating to Charley. This novel is jam packed full of things for our leading lady to figure out and my emotions were going everywhere while reading. 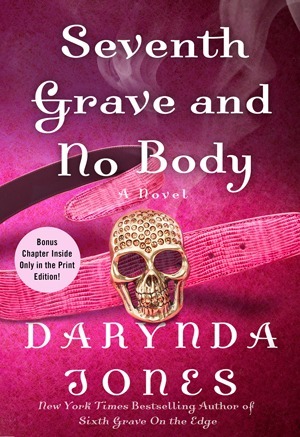 Seventh Grave and No Body is a fast paced addicting addition to a series I adore. With the sass and snark of the leading lady and her BFF and all the paranormal action and adventure this series is seriously a must read. Plot-wise this is one of the major books in the series. We have multiple story arcs going on in this installment including one that will change the course of the series overall. DJones manages to weave all of these together so perfectly that it just leads to a delightful read. I'll be interested in seeing where it goes though. All in all, if you're a fan of Urban Fantasy and Romance, you have to pick this series up. ;) This one is a really good series!! I have up until the ninth volume at home, but I still have to read Third Grave Dead Ahead . 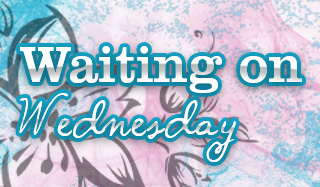 . . *sigh* One of these days I'm going to have a reading marathon! I love Urban Fantasy romance! I haven't tried this series before but I'll definitely check it out! I love books where multiple story arcs coexist. As long as the author is deft at juggling them, they're a treat. This series sounds so great! I need to start it! Oh yes, such a lovely series! I've not read anything by this author! I admit, I struggle with adult UF. Well, I struggle with actually getting around to reading them. The ones I've read, I've really enjoyed. :D This is quite a long series! I'm glad you've been enjoy the books. I'm not sure if you listen to audiobooks but they might work in your favor for adult UF :) I found several series, this one included that are great in that format! I liked this one! Really struggled with the 8th but the 9th was amazing and the next two are good too! I've heard about this series but I haven't been able to read it yet. I think I need to as soon as possible. Awesome review. Thanks for sharing. I hope you enjoy it if you try it!! Ugh. I need more time in a day! This is a series I really need to get to. lol. :P I reallyyyyyyy think you'd get addicted to this series Melissa!! I just love this series to pieces. Great review.